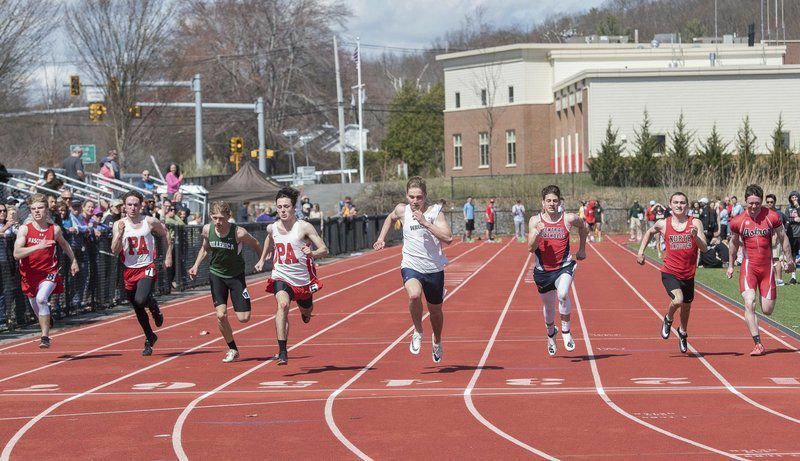 AMANDA SABGA/Staff photoPinkerton's Ryan Dane (lane 5) and Andover's Patrick Denney (lane 4) were neck and neck during the 100 meter dash. 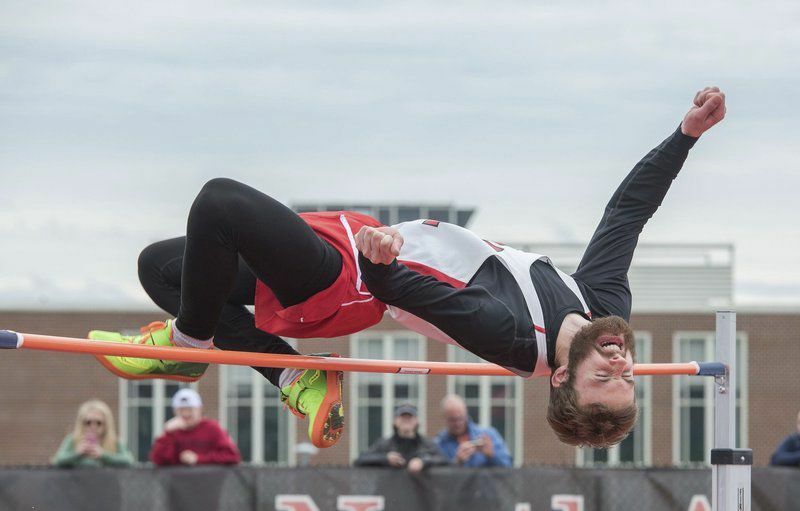 AMANDA SABGA/Staff photoPinkerton’s Adam Spencer during the high jump at the Haverhill Ottaviani Invitational Track Meet. His jump of 5-10 was good enough for third. AMANDA SABGA/Staff photoPinkerton’s Adam Spencer is used to being out front. He won the 110 hurdles at this weekend's Ottaviani Invitational.